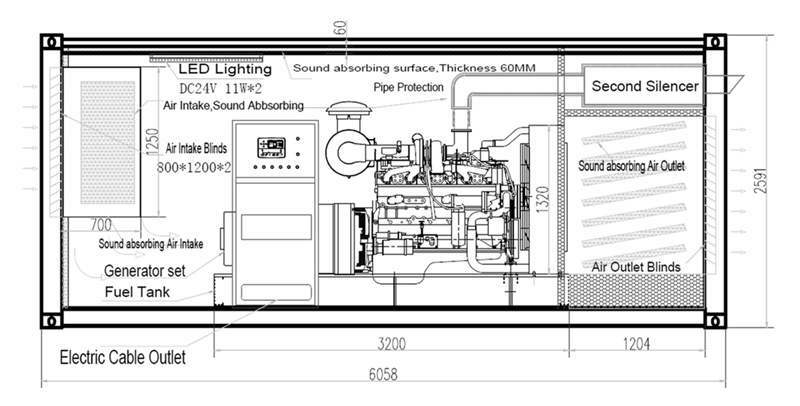 DIESEL ELECTRIC GENERATORS IN CONTAINERS AND FITTED CONTAINERS. 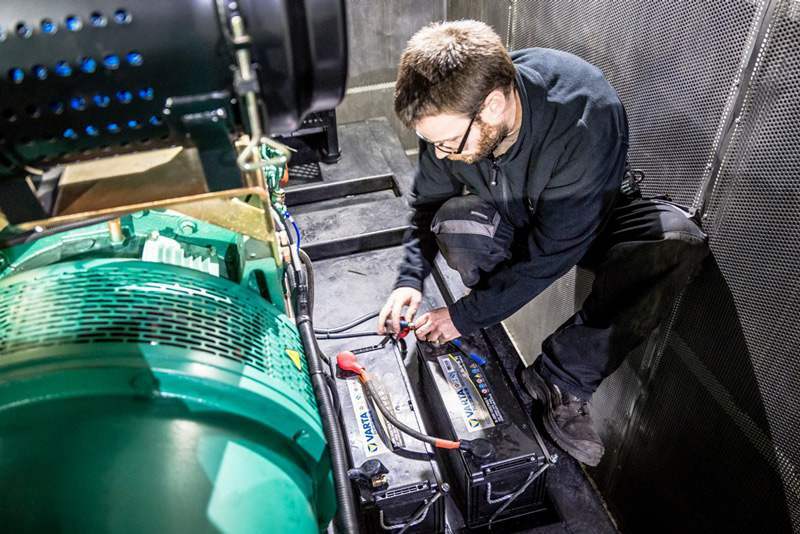 Generators in containers are used as a backup, as a grid, or for production on the grid, are easily transported over land or sea, for maximum power. 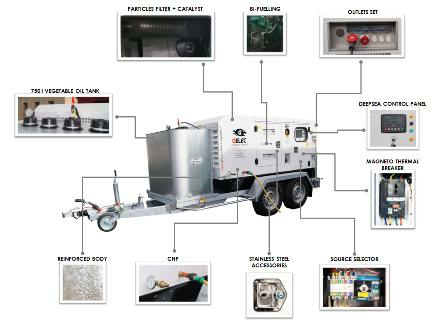 Perfect for one time or ongoing needs, this solution allows you to install and use your containerized electric generator in record time. With its synchronization, coupling and charge sharing abilities, the RHINO line stands out from the others. These electric generators can be synchronized so that you can install electric power plants up to several megawatts. The container concept allows you to quickly have a complete “all in one” solution that is climate and burglar proof. • The mining industry and all “heavy duty” applications. The RHINO solution is based on a normal standard container of 20 or 40 feet. The internal surfaces are insulated for sound to reduce operating noise and to comply with sound emissions standards. Two internal lighting circuits lit by LED projector, one 230V circuit fed by a grid or an electric generator, the other by a 24V circuit powered by battery motors. They are equipped with ventilation made for the model of the electric generator. 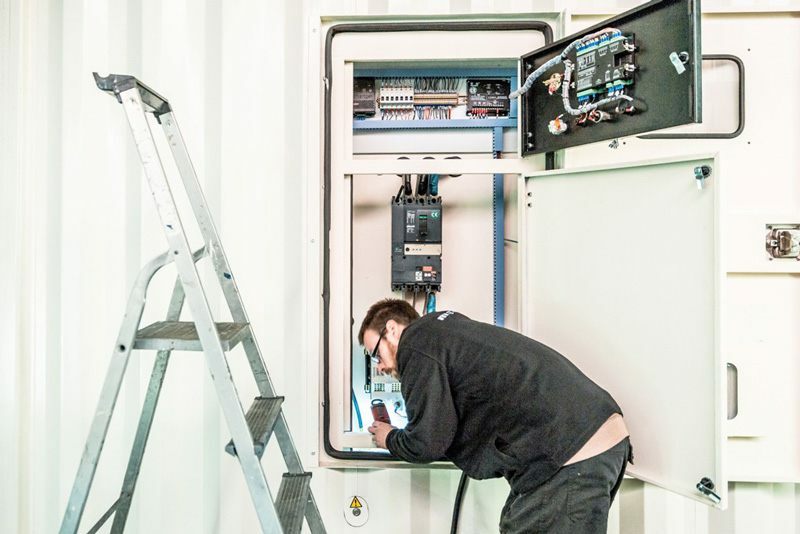 The rear doors of the container give access to them, as well as to the generator; in addition, the exterior side door accesses the control panel and the connections. 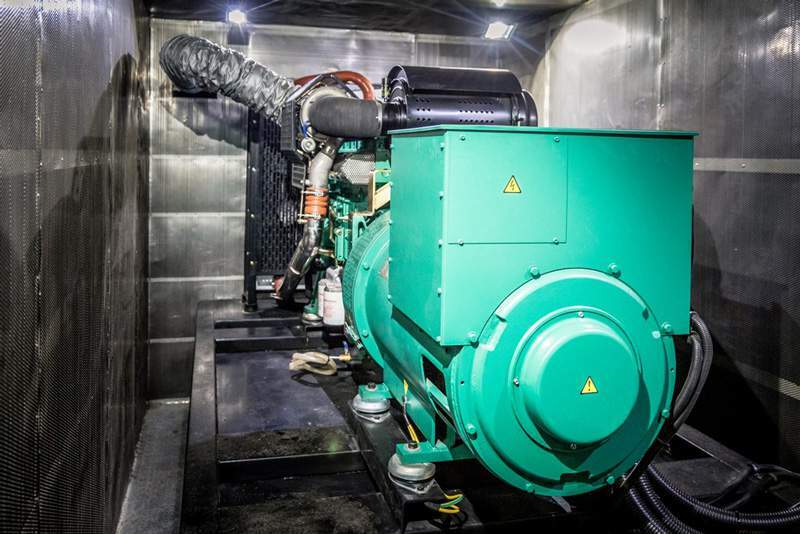 The GELEC heavy line of electric generators can operate with vegetable oil or aviation fuel. Large capacity 24h or 48h reservoirs or more can be included. A co-generation system that allows you to generate heating kW at a very competitive cost can be adapted. In order to limit noxious emissions, they can be equipped with exhaust systems, particle filtration systems and catalysts.